Vitamin D—the sunshine vitamin—is known to have many health benefits, but it may help protect the brain too. In a recent study, researchers from UCLA’s David Geffen School of Medicine have discovered that the vitamin could help the immune system remove harmful amyloid plaques from the brain. Alzheimer’s patients show high levels of these plaques which are thought to be responsible for the onset of the disease. The researchers found that omega-3 fatty acids also played a role in the fight against amyloid plaques. This is new territory in the world of Alzheimer’s treatment and prevention. Previously, research has focused on protecting the brain from the adverse changes that happen as the disease progresses—though without much success. In this latest study, the UCLA research team has found that a secondary treatment—boosting immune function with nutrients—can lead to the ultimate goal of destroying amyloid plaques. Vitamin D3 is needed for strong bones but is also essential for immune system health. 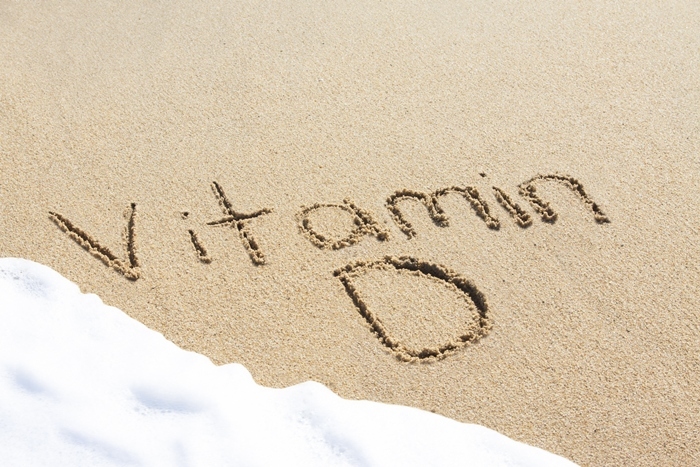 For those living in winter climates or confined indoors, vitamin D3 deficiency can become a real concern. For many with Alzheimer’s, life indoors at a long-term care facility remains the only safe place to reside and hence, there is no uptake of vitamin C from the sun. The research team was able to show in earlier research that vitamin D3 was capable of clearing a protein called amyloid-beta from the brain. Amyloid-beta is found in abundance in the plaques that overrun the spaces between brain cells, making it difficult for signals to pass from one cell to the next. Now, their latest research shows how vitamin D3 controls signalling pathways and key genes that help the immune system regulate inflammation and ultimately, remove plaque. For the study, the research team collected blood samples from Alzheimer’s patients as well as healthy controls. They isolated immune cells called macrophages from the blood samples. These macrophages were incubated with amyloid beta. Then, the researchers added either vitamin D3 or omega-3 DHA to the cells. Once fortified with these two nutrients, the macrophages were better able to do their job of absorbing amyloid beta. They also discovered that cells were less likely to die when invaded by amyloid beta. In another clinical trial, researchers looked at the role of vitamin D deficiency in the onset of cognitive impairment and dementia. They noted that vitamin D receptors are widespread in brain tissue and the active form of vitamin D—1,25(OH)(2)D3—ushers in neuroprotective effects. They found that the risk of cognitive impairment was up to four times greater in seniors severely deficient in vitamin D in comparison with those who had adequate levels. And yet another study found that the risk of cognitive decline was 60% higher in Italian seniors with severely deficient levels of 25(OH)D levels when compared to those with normal levels of the vitamin. These researchers also noted that the odds of cognitive decline were 41% higher in elderly U.S. men with the lowest levels of 25(OH)D, compared to those with the highest levels. The researchers estimate that over one billion people worldwide may be deficient in 25(OH)D levels. It remains to be seen if vitamin D can be used as a treatment for Alzheimer’s. Certainly, at the least, the evidence is clear that you need adequate levels of vitamin D to have healthy brain function. Soni, M., et al., “Vitamin D and cognitive function,” Scand J Clin Lab Invest Suppl. April 2012; 243: 79-82. “Alzheimer’s Amyloid Plaque Removal May Be Aided By Vitamin D And Omega 3,” Medical News Today web site, Feb. 2013; http://www.medicalnewstoday.com/articles/255957.php, last accessed Nov. 20, 2013. Dickens, A.P., et al., “Vitamin D, cognitive dysfunction and dementia in older adults,” CNS Drugs. August 2011; 25(8): 629-39.